The Isle of Ge is a post-apocalyptic, post-religious land ruled by the Fowler, a ruthless cult leader who is prepared to sacrifice his own daughter to stay in power. All that stands between her and an agonizing death is her friend Hudor with his mind lore and time craft. 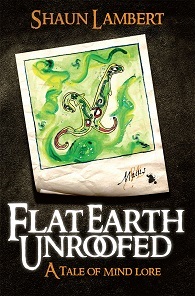 A trained counsellor and psychotherapist, Shaun Lambert has imbued his new children’s and teenage fantasy fiction novel, Flat Earth Unroofed – a tale of mind lore, with his extensive academic knowledge of mindfulness, creating a world where mind lore matters. Inspired by C.S. 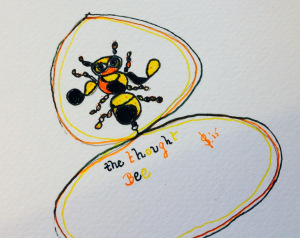 Lewis’s idea of this everyday world being ‘invaded by the marvellous’, Shaun has woven together the everyday and the strange with humankind’s mysterious capacity for awareness and compassion as well as mindless brutality. Shaun’s heroes are real, soul warriors who display incredible resilience in the face of familiar anxieties, depression and existential doubts. During his long walks in the ancient woodlands near Bentley Priory, from where the Battle of Britain was directed, Shaun considered the local folklore of tunnels running from there to a military site in nearby Northwood and began to imagine another battle between good and evil happening there. But this was not a battle where mindless oppression would be fought by men with weapons of iron and steel – rather it was one where darkness would be overcome by a teenager through the inner power of attention and awareness. Is this the first children’s fantasy book to incorporate mindfulness into the very fabric of the story? We don’t know! But we do believe a new sub-genre in fantasy fiction is going to develop. This is a book for those aged 8 to 80 who enjoy the fantasy genre and are willing to consider that awareness could be part of the very fabric of being.